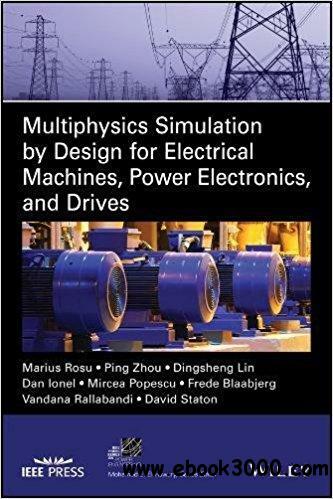 This book combines the knowledge of experts from both academia and the software industry to present theories of multiphysics simulation by design for electrical machines, power electronics, and drives. The comprehensive design approach described within supports new applications required by technologies sustaining high drive efficiency. The highlighted framework considers the electric machine at the heart of the entire electric drive. The book also emphasizes the simulation by design concept-a concept that frames the entire highlighted design methodology, which is described and illustrated by various advanced simulation technologies. Multiphysics Simulation by Design for Electrical Machines, Power Electronics and Drives is an incredibly helpful book for design engineers, application and system engineers, and technical professionals. It will also benefit graduate engineering students with a strong interest in electric machines and drives.